Sender names are what a user/subscriber will see the sms as coming ‘From’. 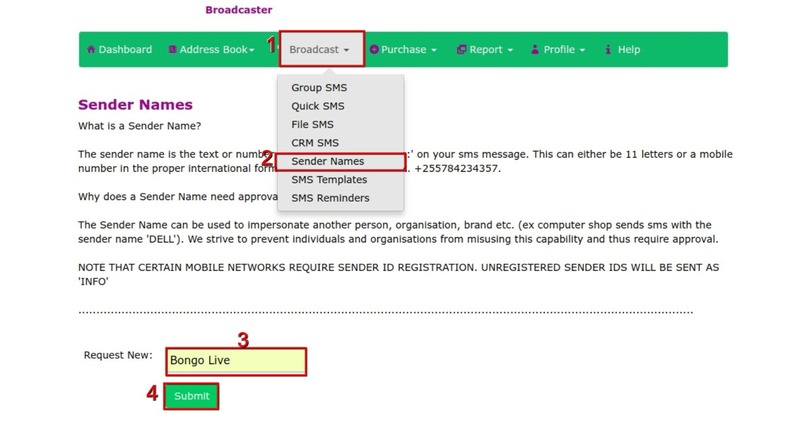 This can be used as a brand identity and identifier for your sms. We require approval of sender names to avoid misuse of sender names and also allow follow mobile operator and regulatory guidelines. There are also increasingly more restrictions being placed by mobile networks on what sender names are allowed. These restrictions are constantly evolving. Current restrictions are listed below but ask sender id support ([email protected]) for more details. To create and request your sender name, follow the steps below. Click on “Broadcast” on the top menu. 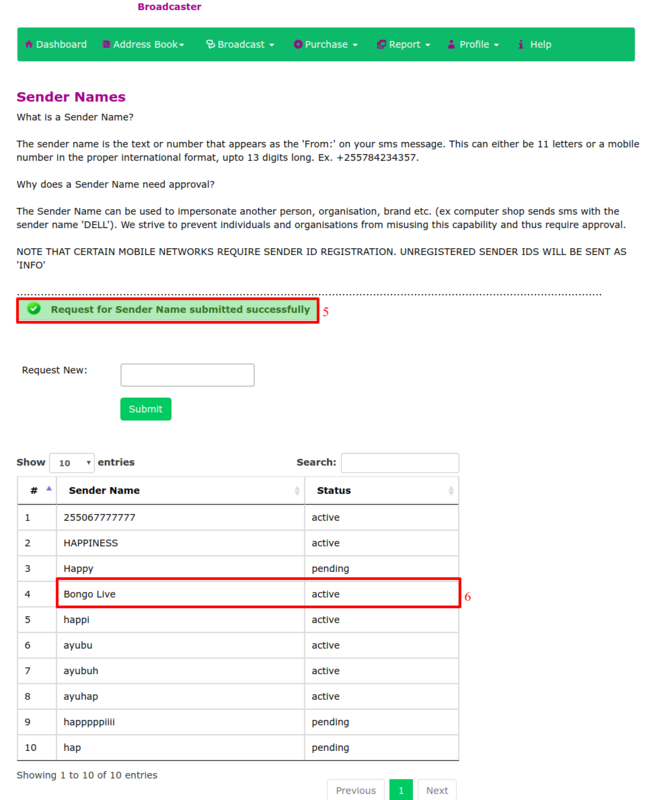 Choose “Sender Name” in the drop down menu and read provided short guide on sender names and then request your sender name of choice by filling the “Request New” box. Fill in the new sender name request. After submitting your request, you will get a notification that “Request for sender name submitted successfully” as shown below. If you had already requested for other sender names before, you will see a table listing all your older requests.